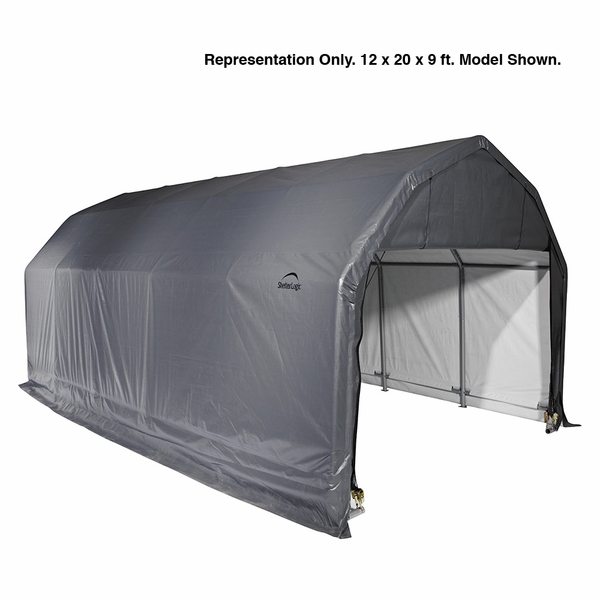 Providing an additional level of protection from wind, rain, and debris, this heavy duty shelter from Shelter Logic features both a roof and side walls made of waterproof triple layer polyethylene. This UV resistant, tearproof canopy is supported by solid welded steel poles and is anchored securely with the included tightening tools. The 24 foot length of this shelter allows for storage of even the longest vehicle, and the entire assembly is surprisingly easy to set up. How strong of wind will this withstand ? This garage canopy does not carry a rating for wind or snow. 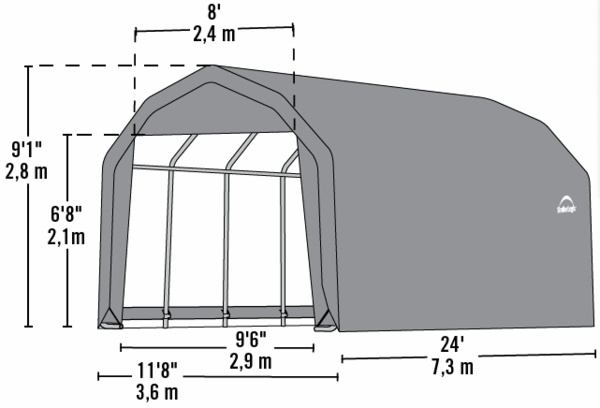 However, the Shelterlogic 12x25x11 ShelterTube is rated to withstand winds up to 80 miles per hour if properly secured and anchored.